In just a few days, Korean smartphone giant Samsung will unveil the hotly-anticipated Samsung Galaxy S4 at Radio City music hall in New York City. In stark contrast Apple’s private invite-only events, the Samsung Galaxy S4 launch is going to be an unprecedented spectacle for a smartphone and the entire proceedings will be broadcast live online. With a 13-megapixel camera, eight-core processor and 5-inch display – the Samsung Galaxy S4 certainly has the technical chops to take the fight to Apple. Both on paper and in the metal, the new Galaxy S4 will be a hard handset to beat. Compared to the now six-month old iPhone 5, the new Galaxy has a larger and higher-resolution display, a better camera and is several-fold faster. 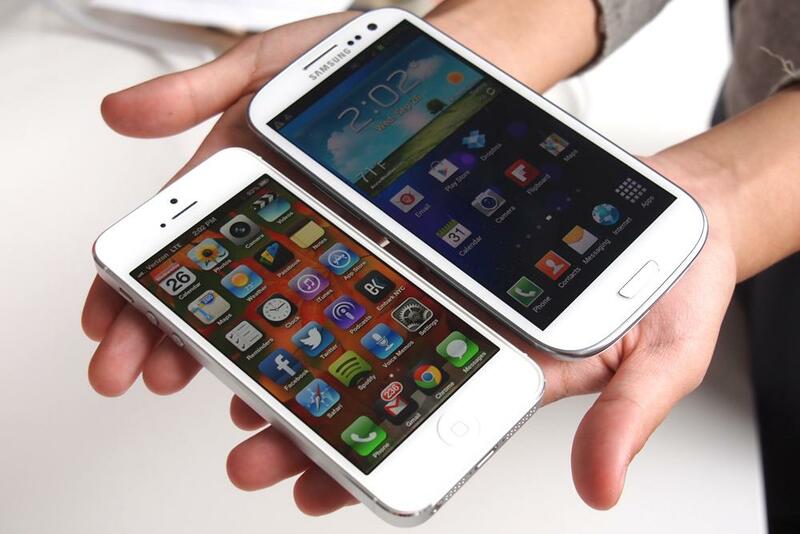 There’s no doubt that the Samsung Galaxy S4 vs. iPhone 5 debate is only just starting to heat up. While the Apple iPhone 5 is currently the world’s best selling smartphone, sales have continued to slow and Neil Mawston of Strategy Analytics is forecasting that the Samsung Galaxy S4 will dethrone the iPhone 5 before its successor, the iPhone 5S, is released sometime this summer. According to Jefferies analyst Peter Misek, Samsung have high ambitions for the Galaxy S4 with orders in place at its manufacturing partners for 100m units in the first 9 months of sale. To put those numbers in to perspective, Apple’s best-selling handset, the iPhone 4S, took over 12 months to hit the 100 million unit mark. Misek also notes that Samsung’s scale of production will create enormous demand for materials that may negatively impact upon Apple’s ability to secure essential components for the iPhone 5 and iPhone 5S. Apps: Three-quarters of a million. Generally more higher-quality apps. The Samsung Galaxy S4 will be unveiled on March 14, with a release date expected at some stage during the second quarter of this year (most likely May). Pricing is expected to be very similar to the current-model Galaxy, with the 16GB model to cost $199 on a 2 year contract or roughly $599 unlocked. Where do you sit in the Samsung Galaxy S4 vs iPhone 5 debate? How do you think the new Galaxy will stack up against the iPhone? Let us know your thoughts in the comments below.